Dancers: Shrikant Adhikarla, Josh Yee, Jiaqi Kyki Li, Zakkir Abdul Rahman, Lela Besom, Pongkhi Bujorbarua, Kenneth Telesco, Jeremy Chan. In collaboration with Dr. Greg Wilson, Prehistoric Body Theater won the 2017 Bergstrom Award for Art-Science Interface, a science outreach grant from the University of Washington in Seattle (UW Biology, 2017). 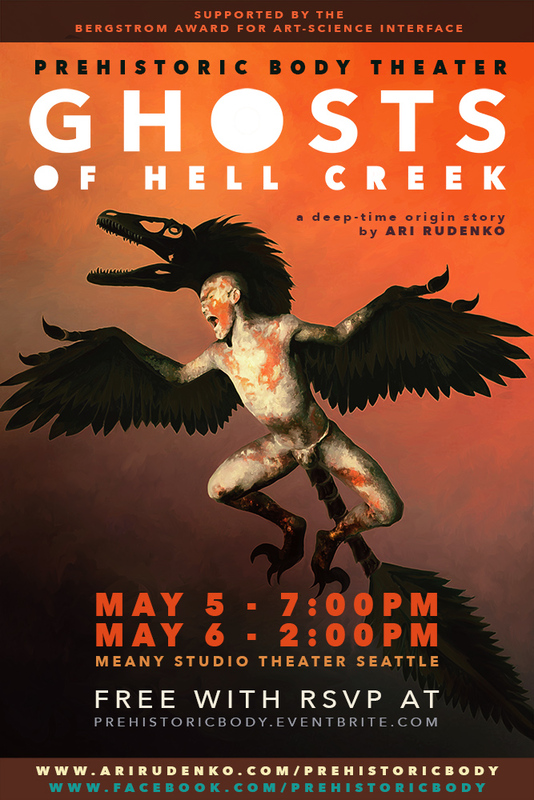 With the support of the award, Ari Rudenko worked with Dr. Wilson and Dr. Evans to choreograph a new, diverse dance ensemble based in Seattle, concluding with the first full staging of GHOSTS of HELL CREEK at University of Washington's Meany Studio Theater in May 2018. The Bergstrom Award-funded production serves as a proof-of-concept prototype, demonstrating the efficacy and potential impact of the work to participating scientists, audiences, and funders. 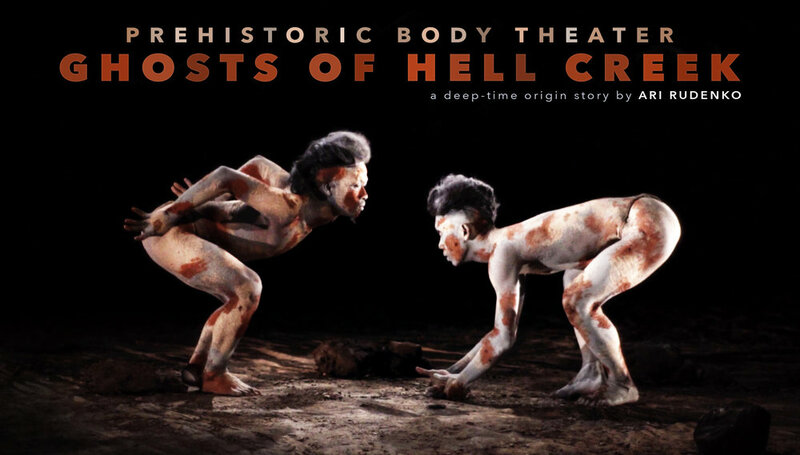 This prototype performance was designed as the precursor to a large-scale touring production of GHOSTS of HELL CREEK with a primarily Indonesian cast, which is projected to begin development in Indonesia in late 2018. Dancers: Sofyan Joyo Utomo, Bagus Pulung Tilamas, Razan Mohamad, Muhammad Maulana Al-Ahzar, Suntoro Aji Nugroho, Nur Arifin, Megatruh Banyumili, Feri Hari Akbar, Zoel Fikar, Raden Dimas Dipo.